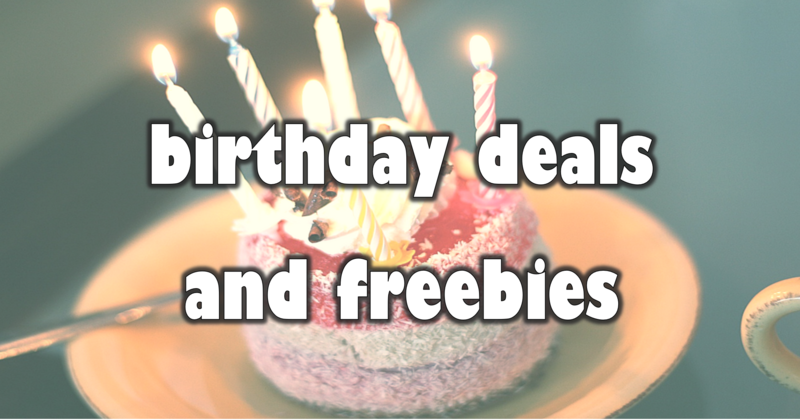 Birthday's come once a year -- spend your day enjoying these awesome deals and freebies! Score free meals, make-up, drinks, sweet treats, special discounts and more! A&W- Sign up for the Mug Club and get a FREE Float on your birthday. Albertsons- Join the Albertsons Baby Club for a FREE smash cask for your baby's first birthday. Applebees- Sign up for the Applebee's eClub to gain access to special deals, including a birthday freebie. Auntie Anne's- Auntie Anne's Pretzel Perks sends a free coupon for a free pretzel on your birthday. Benihana- Join The Chef's Table and receive a free $30 meal certificate with purchase during the month of your birthday. Buffalo Wild Wings- Become a member of Blazin' Rewards get promotions, special events and a FREE order of snack size wings to help you celebrate your birthday. Caudalie- Join Caudalie and receive a free birthday gift! This works for both U.S. and U.K. folks! 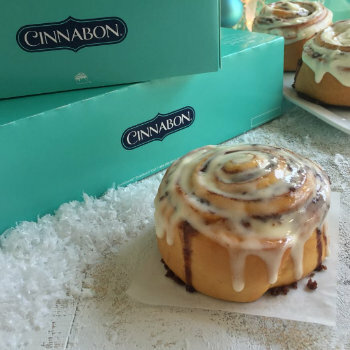 Cinnabon- Club Cinnabon sends a sweet birthday coupon via email. Treats vary from Minibon to Mochalatta Chill. Sign up for free. Culvers- Join the Culver's E-Club and they'll email you a coupon good for a free frozen custard near your birthday. 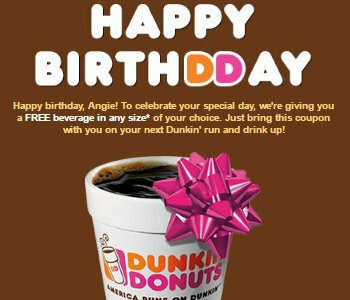 Dunkin' Donuts- Sign up for the DD Perks and get a free beverage on your birthday and a free beverage when you sign up. Einstein Bagels- Sign up for The Shmear Society and get a FREE Bagel & Shmear with purchase just for signing up, FREE Egg Sandwich with purchase for your birthday and special offers and more throughout the year! Friendly's- Join the BFF club to receive exclusive coupons, freebies and a special birthday treat. 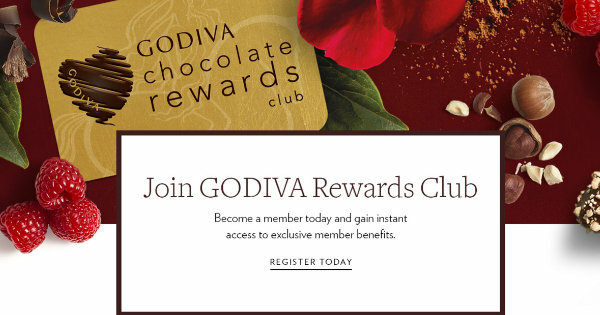 Godiva Chocolate Rewards Club- Become a member of Godiva Chocolate Rewards Club and receive a free piece of Godiva every month in participating GODIVA boutiques. Plus, birthday offers every year on your birthday, free standard shipping for members only. Honey Baked Ham- Get a free birthday sandwich when you sign up for Honey Baked Ham Rewards. Yum! Huledet- Sign up with Huledet to get emails with birthday freebies each and every year. This works for international users, too! 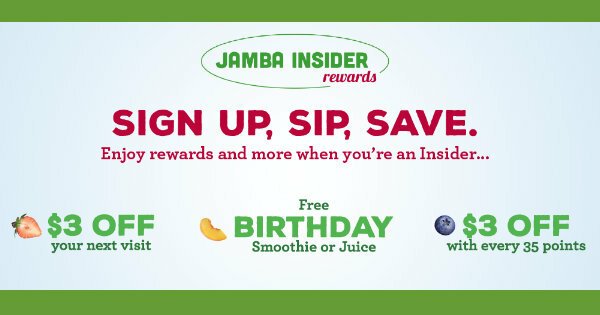 Jamba Juice- Join Jamba Insider Rewards and get a free $3 off coupon and a free birthday smoothie or free juice during your birth month. Jersey Mike's Subs- Receive a coupon for a free regular sub and 22oz fountain drink during the month of your birthday when you sign up for Jersey Mike's emails. Kohl's- Kohl's Yes2You rewards programs will send a birthday gift during the month of your birthday. *Note: All members will not get a gift. Also use your rewards card to accumulate points to earn Kohl's rewards. Longhorn Steakhouse- Join the Longhorn eClub and get a free birthday desert coupon sent to your email. Moe's Southwest Grill- Sign up for Moe's Rockin' Rewards and get a free birthday burrito. Nick Jr.- This is certainly for the kiddos. Sign up for Nick Jr.'s Birthday Club to get a free personalized birthday phone call for your child. Noodles & Company- Register with Noodles & Company Club and receive a free Birthday Crispy along with a free special surprise on your Noodlegram anniversary! Nothing Bundt Cakes- Join Nothing Bundt Cakes e-club and get a FREE Bundtlet for your birthday. 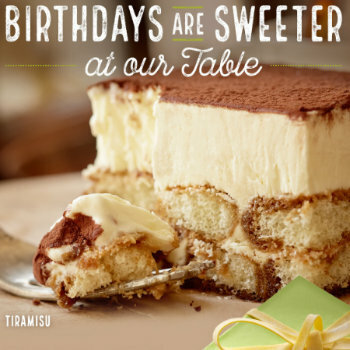 Olive Garden- Sign up for the Olive Garden eclub and receive a free birthday desert during the month of your birthday. You also get a free appetizer or desert when you sign up. Panera Bread- With the MyPanera rewards program, receive a free birthday pastry on your birthday. Peppa Pig- Join the Peppa Pig Muddy Puddles Club and receive a free welcome gift when you join and a birthday kit for your child. Pinkberry- Join the Pinkberry Loyalty Program and receive a free yogurt for your birthday. Quiznos- Become a member of the Q Club and get a free cookie on your birthday. RA Sushi- Score a $20 RA Sushi gift certificate every year during the month of your Half Birthday with The Hook Up. Just sign up for the preferred customer email program. Red Robin- Join the Red Robin Royalty Club and get a free burger on your birthday. 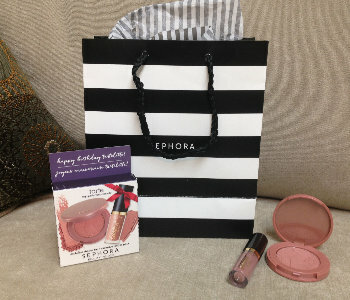 Sandwich Bros.- Get a coupon for a free sandwich on your birthday when you sign up with Sandwich Bros.
Sephora- Become a Beauty Insider and receive your choice of a FREE birthday gift from Sephora in-store. South Street Burger- Join the South Street Burger Birthday Club and get a free burger for your birthday. T2 Tea- Register for the T2 Tea Society and receive a free cup of T2 tea during the week of your birthday. TGIFridays- Sign up for the TGIFridays Rewards Club. Receive a free birthday treat on and the month of your birthday and you will immediately get a free appetizer or dessert. Tim Horton's- Qualifying members can get a free medium coffee during the month of their birthday. Ulta Beauty- Join Ultamate Rewards and receive a FREE coupon via email on the day of your birthday for a free Ulta product. No purchase necessary. Victoria's Secret Angel Card- Apply for an Angel credit card to take advantage of this birthday freebie. As an Angel cardholder you will receive a birthday gift of a $10 Victoria's Secret gift coupon, mailed to your home. Zaxby's- As a member of the Zax Mail Club you will receive a FREE Nibbler on your birthday and a FREE meal deal postcard. HOT TIP: You may want to open a secondary email account so these offers don't flood your inbox. Happy Birthday! This post may contain affiliate links at no cost to you. Thanks for reading!